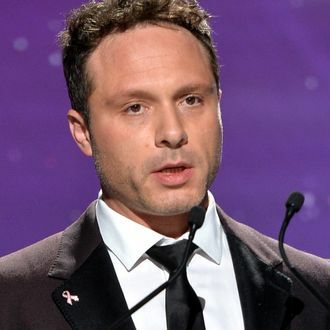 In Rich Cohen’s (note the initials) fawning Vanity Fair profile of Nic Pizzolatto, he asks whether the “uncompromising auteur” can “do it all again?” The answer for Cohen is self-evident: Yes, yes, a thousand times yes! Pizzolatto is totally the guy in your MFA program, only now he’s made it. Cohen first met Pizzolatto at DePauw University, where they talked about God (what else? ), and then in the writer’s room of Magic City, where he was “clearly on the rise.” Cohen calls himself a supplicant and compares Pizzolatto to everyone from a John Steinbeck character to Orson Welles. Get a room, guys.